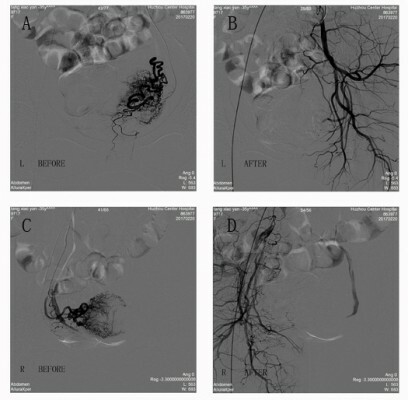 Abstract: Uterine artery embolization (UAE) is considered to be an effective treatment for patients with cesarean scar pregnancy, especially for those presenting uncontrollable hemorrhage. However, it can also cause some potential complications. Pulmonary embolism is a rare but fatal complication in patients treated with UAE. Here, we report a case of a woman who was diagnosed with cesarean scar pregnancy presenting with pulmonary embolism during the operation of dilation and curettage after UAE treatment. Prompt resuscitation was carried out and the patient received anticoagulant treatment immediately. During the follow-up, she recovered well without any complications. We present the clinical details and imaging findings, followed by discussions of the etiology, treatments, and prevention strategies.